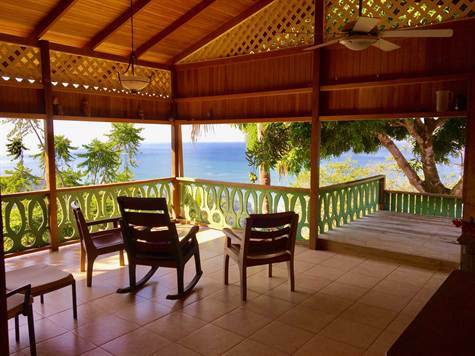 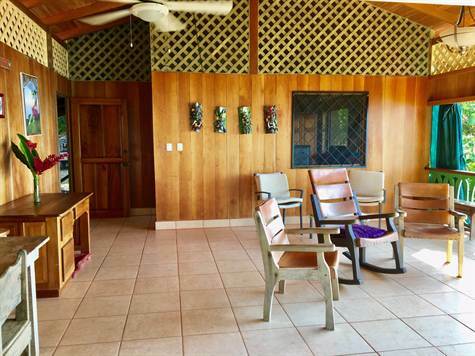 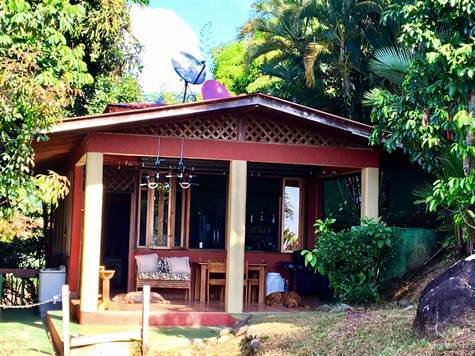 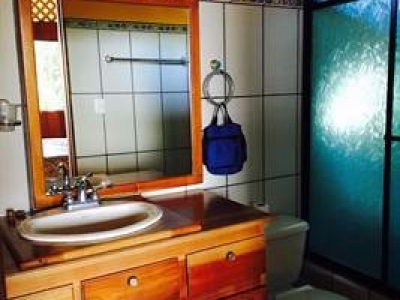 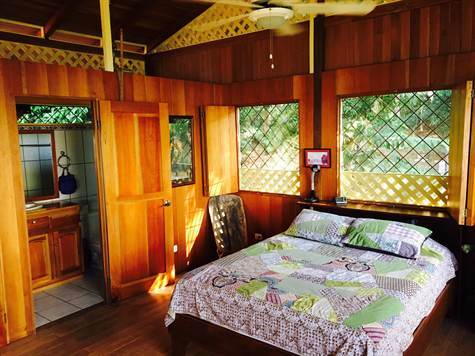 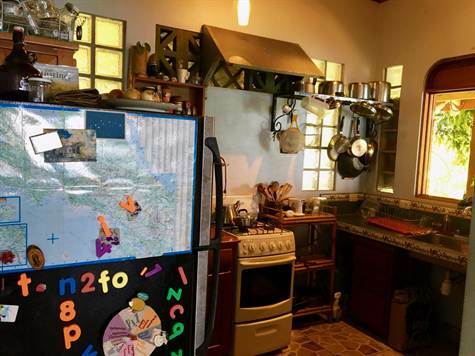 7 ACRES – 3 Bedroom Home + 2 Bedroom Home + Caretaker Home With Jaw Dropping Ocean Views!!! 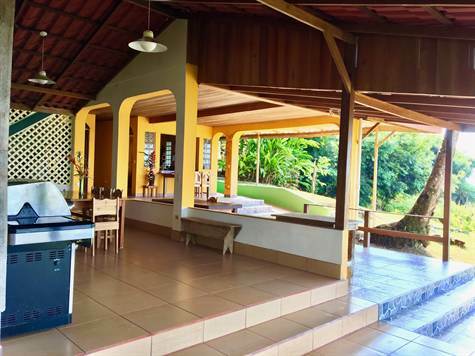 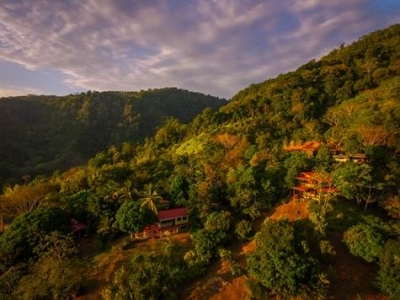 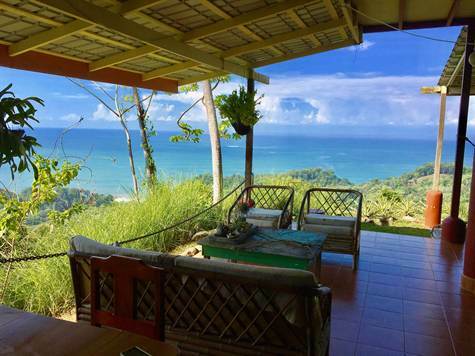 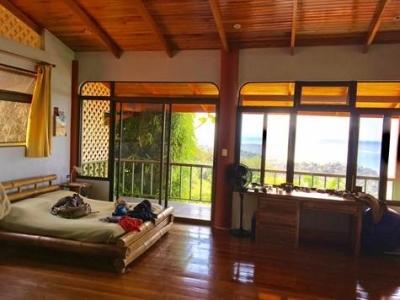 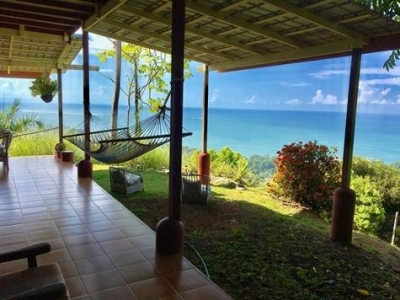 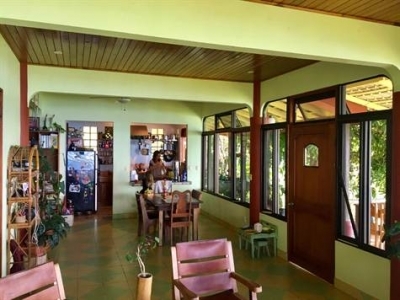 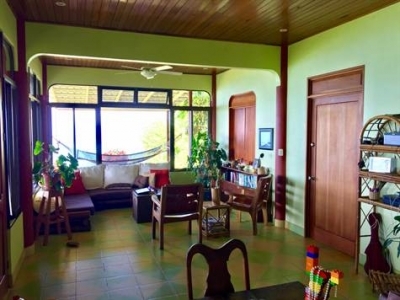 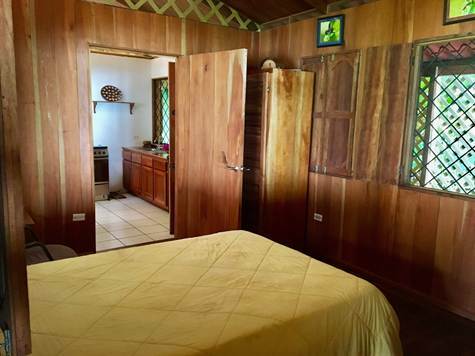 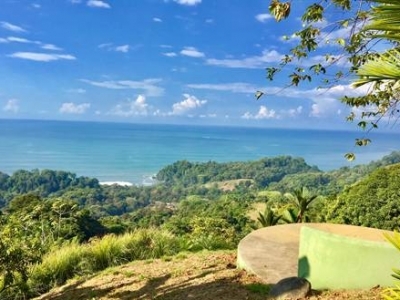 Situated on a large knoll above Playa Hermosa and Punta Achiote and just 1.5 Km up a smooth and well-maintained gravel 4×4 road, this amazing property has absolutely jaw-dropping views in every direction. 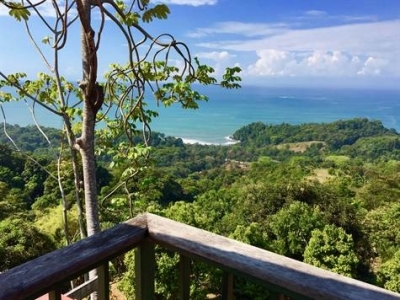 Enjoy both ocean and mountain breezes all day and night, with absolutely stunning sunset views over the big blue Pacific. 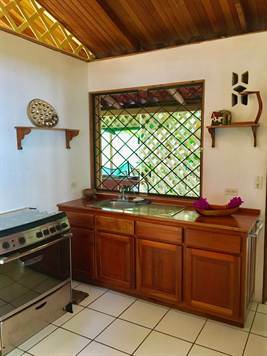 The existing improvements to this property could be easily converted into a great lodge or yoga/wellness/retreat center of some sort with a current total of 6 bedrooms and 6 baths, with a large open air kitchen/BBQ/dining area that could easily accommodate a large group at mealtimes. 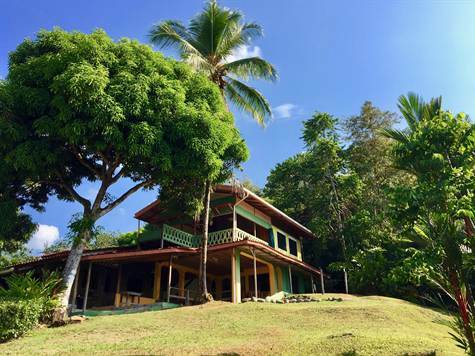 There are many mature fruit trees on the property, and there’s plenty of room to expand with new and/or bigger structures. 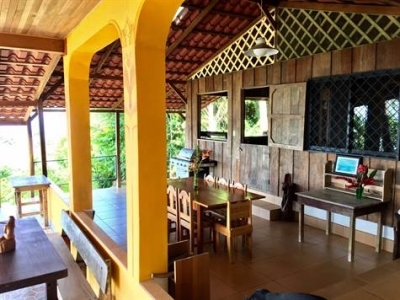 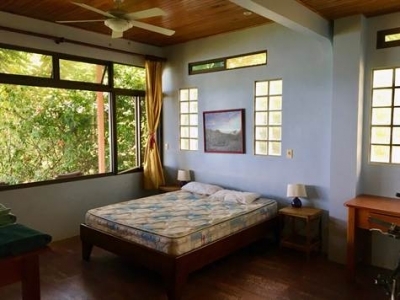 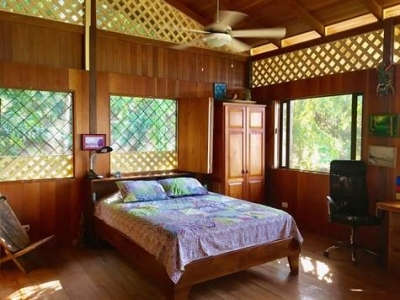 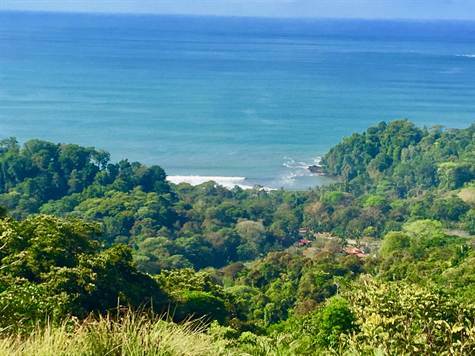 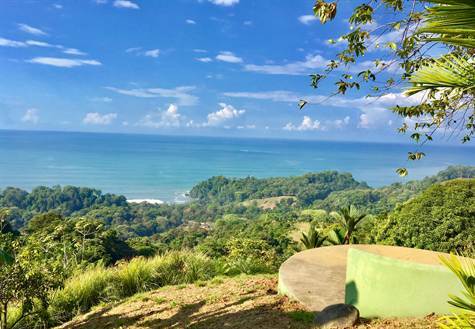 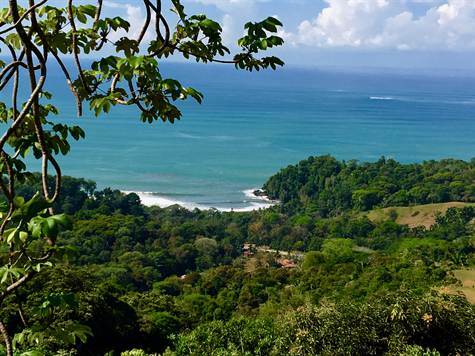 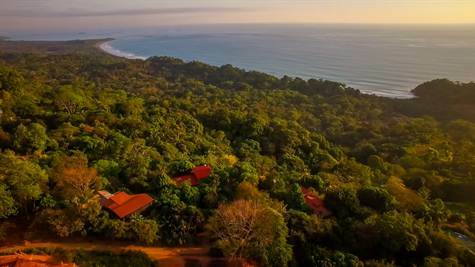 The whitewater views of Playa Hermosa and of the famous Whale’s Tail are A++ and this is one of very few large properties in this much sought-after area that boasts such easy access in such an incredible location. 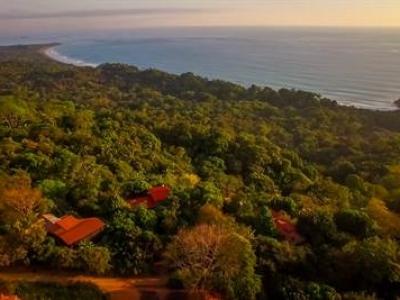 One can literally look down at the right-handed point break on Punta Achiote directly below the property and decide when the time (and the tide) is right for your 3-minute trip down the hill to the surf! This location is also extremely convenient, being located approx. 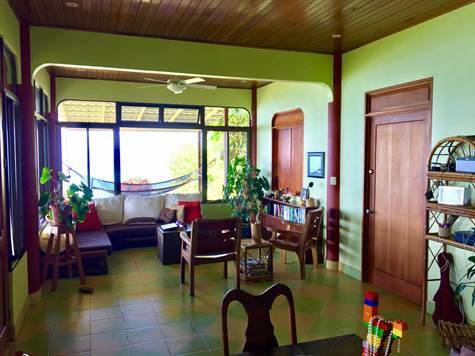 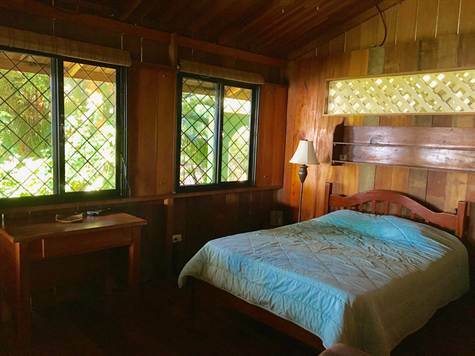 10 minutes from both Uvita and Dominical, affording the easiest access to the best restaurants, beaches, and surf spots in both directions! 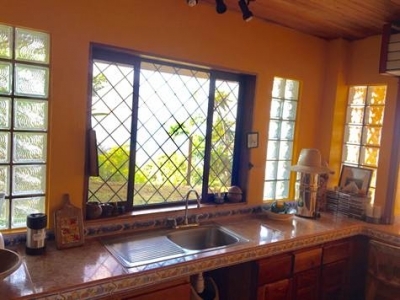 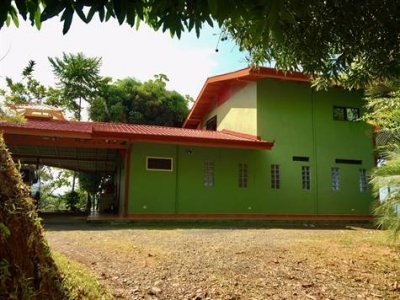 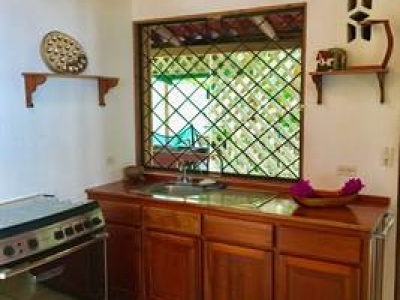 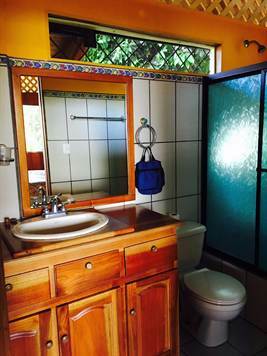 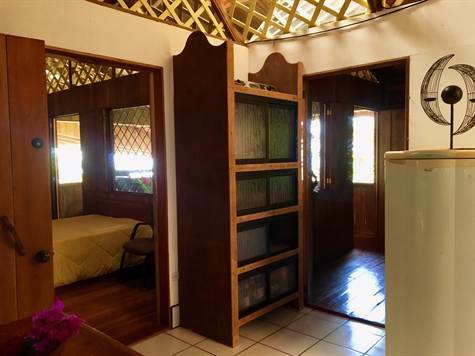 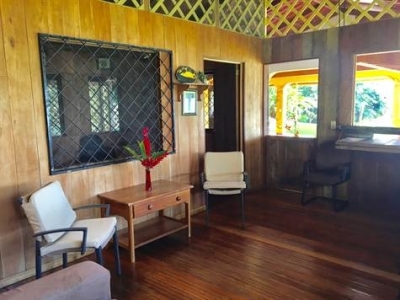 The upper property (5,008 m2/1.2 acres) which has been a solid long-term rental revenue-generator with a 1,300 sq/ft (120 m2) two bedroom/two bath home built in 2008. 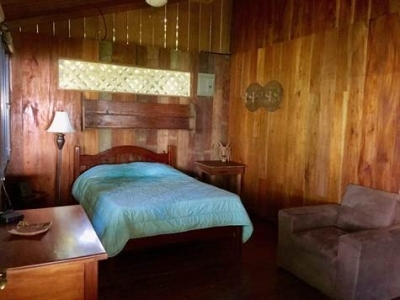 Also, if your plans require a little more space, the Seller also owns an adjacent 5-acre parcel that he would consider selling. This is a great opportunity to acquire a truly amazing piece of real estate that would be all but to impossible to replace in this day and age.